All Miami hotels are not the same. Finding a nice place to stay for your vacation can take some time, but it can be fun looking at their photos and reading the reviews. The Miami 411 Hotel Guide will help you know what to look for when comparing the hotels on your wish list. 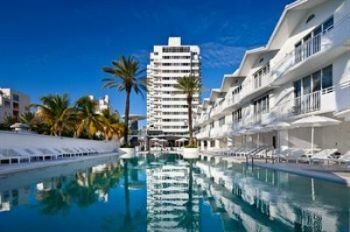 Hotel Location - Any hotel in Miami Beach can say they are in the heart of South Beach, or just minutes away. But the hotel may be on the other side of town from the beach, or minutes away in a car, which you may not have. Decide if you want to stay in a hotel near the beach, shops, nightlife, or at the quieter end of the beach, then check the address on Google maps to see where it is actually located. Beachfront hotels are found along Ocean Drive and Collins Avenue, north of 15th street. South of Fifth street is the quieter end of South Beach, further away from the nightclubs and bars. For a cheaper hotel rate, hotels in North Beach along Collins Ave, between 30th to 90th street are only a short, $2 bus ride away from South Beach. Hotel Resort Fees - The hotel resort fee is an additional fee charged by most hotels for each night of your stay. Hotel resort fees can vary from $8 to $25 a day, and include extras such as beach chairs and umbrellas, the use of a gym and business center, swimming pool, and even bike rentals. Not all hotels charge a resort fee; be sure to check if your hotel includes the fee in the room rate, and what special amenities are included. Hotel Amenities - Check the amenities your hotel offers, compared to what you need or desire. Hotel amenities include: the swimming pool, fitness center, beach access, dining outlets, valet parking, and room service. In-room amenities include: luxury bedding, turn-down service, and free Wi-Fi. Only a few hotels in Miami, such as the Villa Italia and The Beacon, offer free breakfast. Hotel parking is never free, or included in the resort fee. If you have rented a car, check the cost of parking. This may be as much as $35 a day. Online Reviews - Found the perfect hotel with great reviews? It may seem like your dream place, but have a closer look at who has written the comments. Travel sites, such as Trip Advisor, do not monitor their reviews so there is nothing to stop a hotel writing its own glowing references. Always look who has posted the review. If it is a new member with only one or two reviews, you can be sure it is a fake. Only trust reviews written by established members with a high number of posts. That way you can be sure it is a real, truthful overview of your potential hotel. Balancing Pros and Cons - Finally, weigh the pros and cons of where you would like to book. Everyone looks for the best place to suit them, but sometimes compromising slightly can give you a better vacation. Maybe your hotel has a resort fee, but it includes high speed wifi you will need to connect with work, or bike rentals which you’d be paying for anyway. The hotel may be slightly pricier than you’d hoped, but it includes free transportation to and from the airport. All these things make a difference, so pick a few good hotels and then compare them with the help of the above guide. Time To Pick-Up the Phone - After you gather your research, get offline and on the phone with the hotels on your list. See if you can negotiate a better rate or find out about deals on upgrades. Be critical of how well you are treated by the sales agent. It’s very likely this is how you will be treated by the hotel staff during your stay.